A fantastic selection of stalls will be on offer at the St John Bosco School and Nursery annual Christmas Fayre on November 18th! 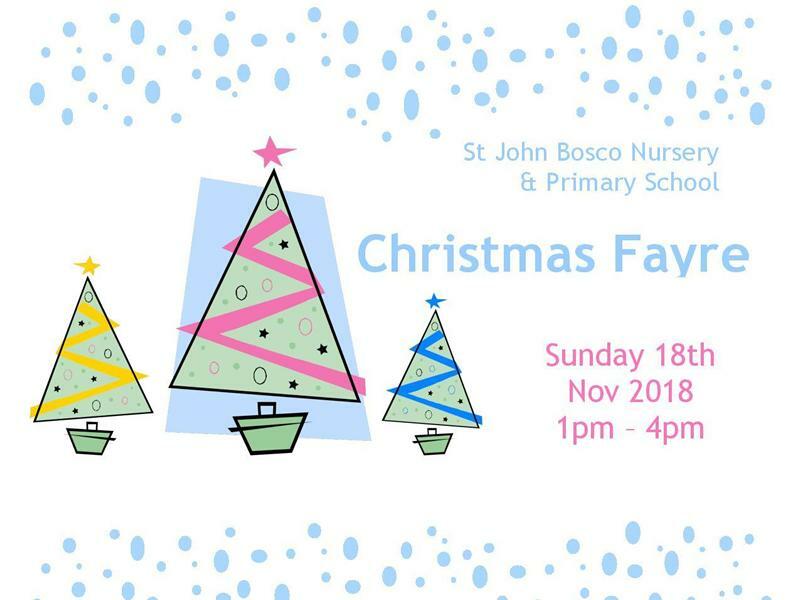 The popular St John Bosco Nursery & Primary School Christmas Fayre is back for 2018. Come along to this popular Christmas event within our brand new school. You can meet Santa, do some Christmas shopping or have a tasty afternoon tea. All the usual stalls with some surprises thrown in! While we take every opportunity to ensure the details for St John Bosco Nursery & Primary School Christmas Fayre are accurate, we always advise that you contact the event organiser before setting out for the event to avoid disapointment.